A sedimentary rock formed by the accumulation of organic remains such as shells and coral, limestone consists mainly of calcium carbonate. Look no further than the Cliffs of Normandy and the Rock of Gibraltar to see its grandeur. 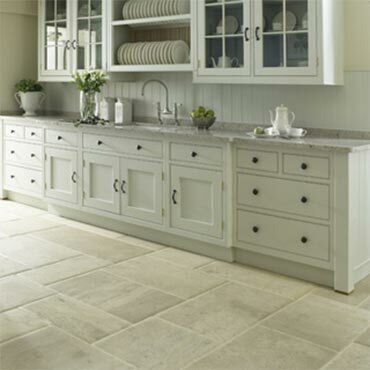 In the home, limestone turns floors, walls and counters into natural works of art. It's been used as a traditional building material in Europe for centuries because of its inherent beauty.